The PRO-Hanger Ceiling Suspension System is a natural replacement for threaded rod or chain systems used in environments such as industrial buildings, distribution centers, schools, hospitals, warehouses, and retail stores. Our suspension system can be found on some of the most complex projects around the world. Standard weight range: 99.21 lbs. – 198.42 lbs. This double-ended hanger, offers 2 hanging points on one hanger. It is a smarter solution for hanging cable trays because it improves the center of gravity to the hanger increasing stability. 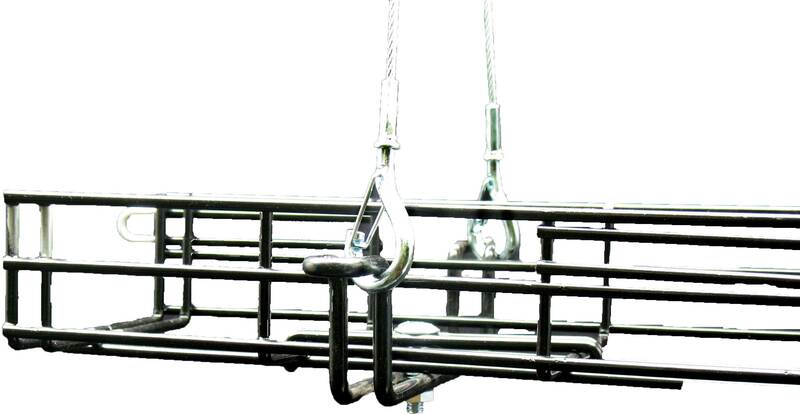 Each hanger comprises a length of steel wire rope with 2 hanging points at one end to form a Y-configuration. 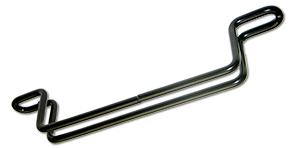 Each end fitted with a snap-hook fixing. Other end fixings are available. Suitable for a low-void ceiling, the Trapeze allows adjustment up to the ceiling (standard 5 ft. and 10 ft. lengths). Quick and effective suspension solution for pre-fabricated units. Ideal for multi-tiered installations. Available as a kit in standard lengths of 5ft. – 30ft. For looping around purlins, beams, roof trusses and other accessible building services. 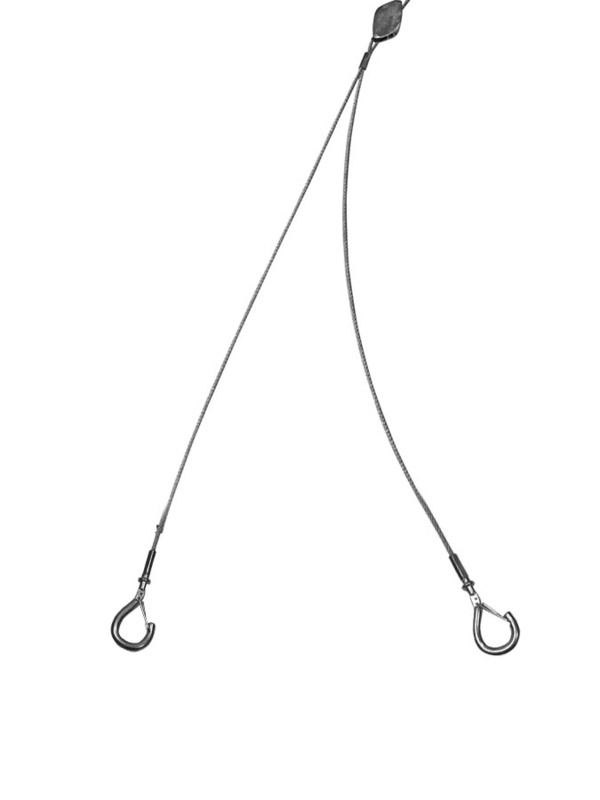 The loop-end fixing is used for the Trapeze Hanger.